Historical reenactors seek to re-create the look and feel of a particular period by conducting equipment demonstrations, living history encampments, and even mock battles. 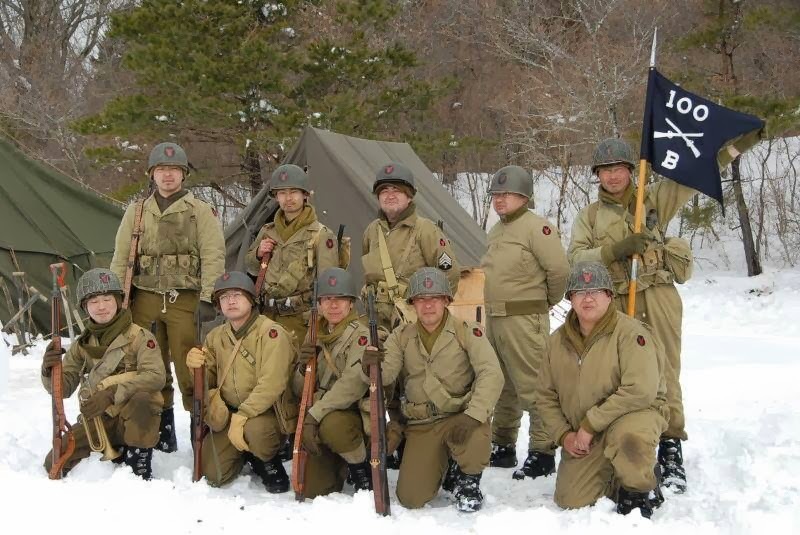 Recently, a Japan-based unit of World War II reenactors conducted field exercises in the cold and snow of their own country, while depicting conditions American "Red Bull" soldiers encountered 70 years ago on the mountainous battlefields of Italy. "Heavy snow got down on that day," the group writes in English about their recent event, conducted in Shizuoka, Japan. "This much much snow did not fall in Cassino." The reenactors of Bravo Company, 100th Inf. Bn, / 442 RCT Reenactment Group commemorate the 100th Infantry Battalion / 442nd Regimental Combat Team (R.C.T.). In brutal combat through Italy and Germany, these second-generation ("Nisei") Japanese-American soldiers repeatedly fought with loyalty and valor. For a time, the 100th Inf. 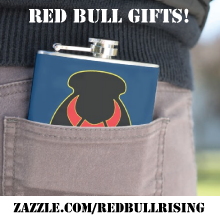 / 442nd RCT was assigned under the 34th Infantry "Red Bull" Division. The event of Reenact and Airsoft which were set as the Italy battle line. However, heavy snow got down on that day. This much much snow did not fall in Cassino. We spent many of 1st day on the snow measure. In the pyramid tent, the stove was used and it slept night. Firewood and coal were burned by the stove. 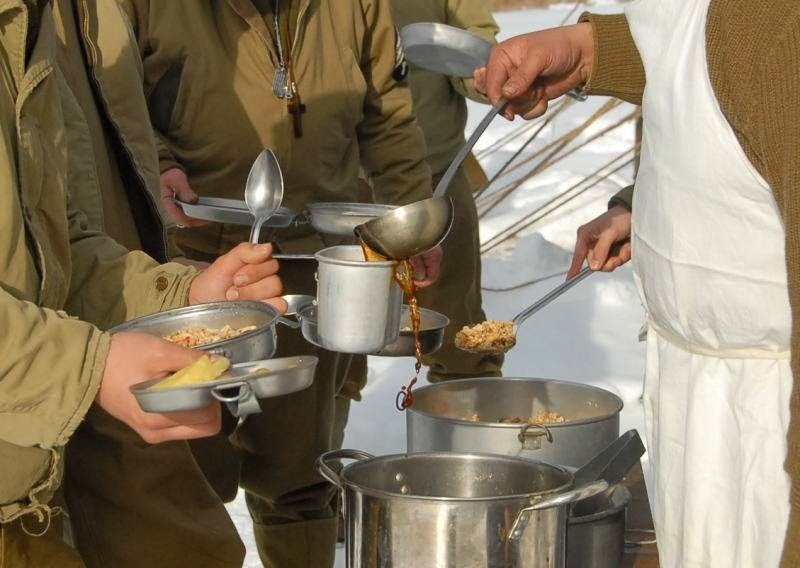 Cooking was carried out in field oven and gasoline burned. "Chicken Heka" and "Musubi" which are said for the Japanese-American soldier to have eaten were cooked. 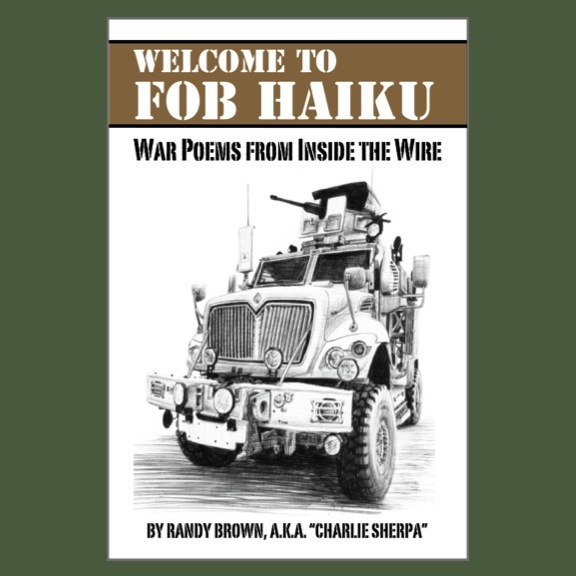 Historically, the Nisei soldiers' story has inspired many retellings. 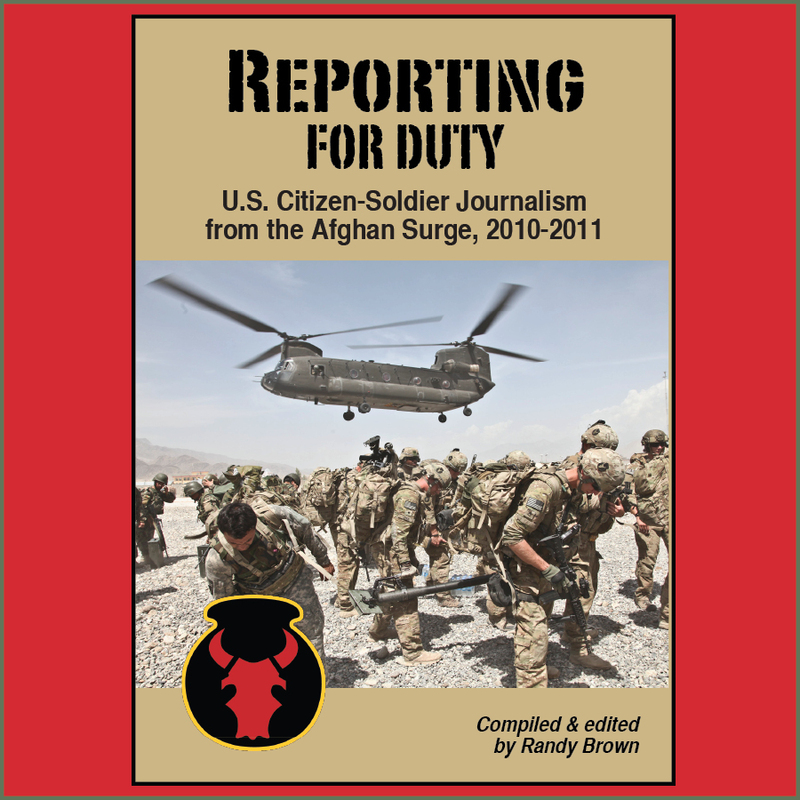 Readers of the Red Bull Rising blog may remember that there's even a graphic novel depicting the 100th Inf. Bn. / 442nd RCT story. 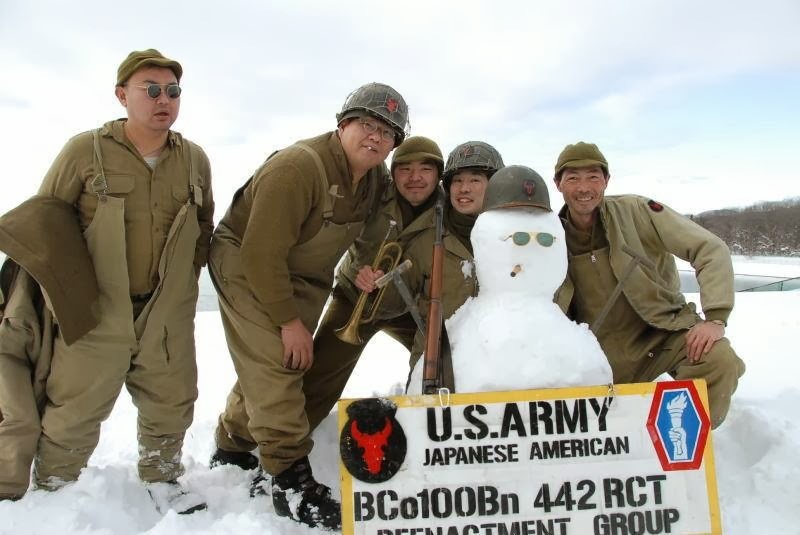 By wearing uniforms appropriate to the era they represent, and experiencing in small ways some of the hardships of World War II soldier life, the Japanese reenactors continue to keep the story of the 100th Inf. Bn. / 442nd RCT burning bright. The Japan-based group is not the only group of reenactors based on Red Bull units, however. There is, for example, also a 442nd RCT group based in California, as well as a 113th Cavalry unit in Oregon. Thank you to share my activities. We would like to go to the study correctly the history of nisei. Was won fame fame with them, you likened tribute to the 34th Division. In this album, there is also a mistake. See also the photo album of still another.